Your access control solution should give you peace of mind. pdk.io is the only true cloud-based access control solution, with a variety of intelligent door controllers that meet any business needs. Make access control easier and more effective. Do you have these access issues? Can you easily manage and control access across a variety of entry points from anywhere? Does your access control solution integrate with existing building systems to give increased visibility? Do you have peace of mind in the knowledge that your access control system is protecting your building? pdk.io’s industry-leading door controllers make building access easier and more effective through a truly cloud-based system. There’s no need to use wireless hubs or specialized devices, and you’ll have the peace of mind that comes with knowing your solution just works – no matter where you are. pdk.io door controller solutions are subtly designed and unobtrusive for an ideal aesthetic effect. pdk.io solutions rely on advanced encryption protocols so that access data is safe and secure and control is trustworthy. Intuitive mobile apps allow monitoring and control at all times – no matter where you are. User-friendly controls through intuitive dashboards allow for easy management of robust access solutions. Network and USB connectivity are only the beginning. pdkio solutions are designed for easy integration with building systems. Take control of building access. Get a pdk.io solution. It’s time to take action. 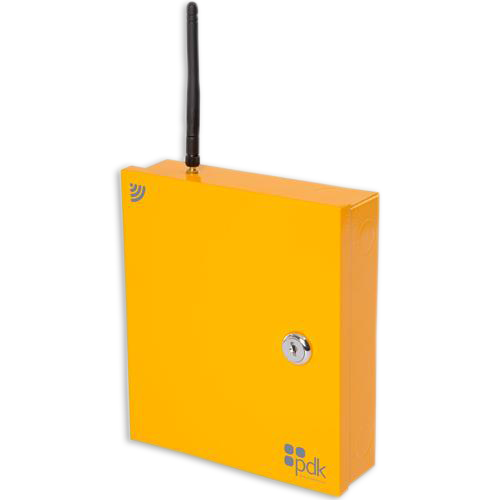 Get an access solution that will allow you to intuitively and effectively monitor building access form anywhere. With Medlin’s help, you can implement a pdk.io solution to give you peace of mind. Take the first step today.